The game boasts an all new faceoff engine, full Canadian Hockey League rosters, and has added broken sticks - apparently the most requested feature from fans. If your player breaks his stick in the game, you will need to either get one from another player on the ice, or go to the bench to grab a new one. It also features a brand-new physics engine, which alleviates the use of canned animations, giving the game a more realistic feel. 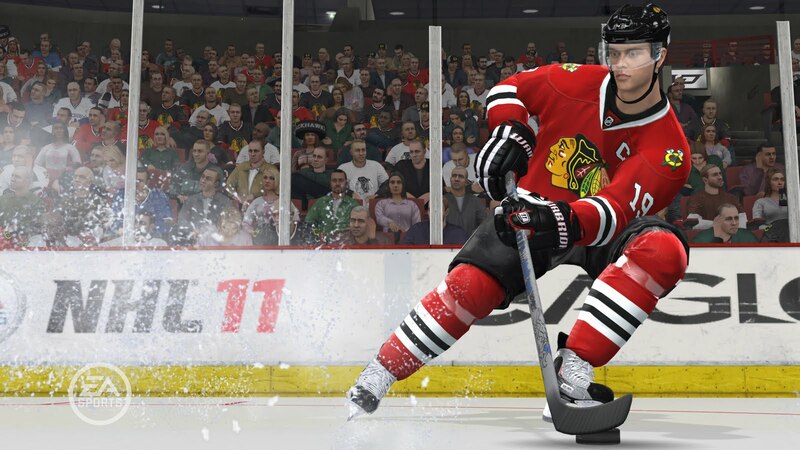 “We were at E3 and we saw about 25 different things in the demo that we had never seen before” said Brent Nielsen, the Executive Producer of NHL 11, on the topic of the organic nature of the new engine. 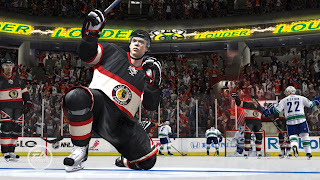 The franchise is also celebrating its 20th year developing hockey games. I asked Brent about whether the team had channelled any of the mid 90’s hockey games while reworking its franchise. “Absolutely. I grew up on the old NHL games. We looked at those and tried to figure out what made them so great. We also had to ask what we were capable of doing with the hardware.” The franchise went through a major overhaul when they released NHL 07; it introduced a new shot stick feature which used the right analog stick on the controller to shoot the puck. The move worked out nicely for them, as they have received immense critical acclaim, and 22 Sports Game of the Year awards. “We are so competitive that we are not allowed to just rest on our laurels, and that’s why we reinvented the game in the first place.” Said Nielsen. “We aren’t just competing with the 2K hockey series, we are competing with Madden, FIFA, and every other sports game on the market. We want to be the best sports game period.” There were no mentions of any special features for the 20th anniversary of the game, but it’s likely that some announcements will be made in the months leading up to the release. Last year’s iteration of the game was really strong: it felt like they had taken the foundation they'd built and really refined it. It’s tough when a game hits that point because it can be difficult to move beyond that – but with the new physics engine and overall obsessive attention to detail, the guys at EA Sports Vancouver might just once again reign supreme atop the sports game food chain. I can't wait for the game to be released. I've been buying the EA NHL series for about a decade now and it's one of my favourite games. I hope they can make enough changes to the game to make it more realistic. It'd also help if they made the goalies better.